ACCURACY MATTERS, FROM STRATEGY TO RESULTS. Are you a “get to the point” kind of business seeking to innovate and make data-driven decisions without bloating your budget or analyzing endlessly? We are solution engineers who apply a finely tuned focus to empower you with integrated analytical solutions for: end-to-end optimization, real-time decision making, and long-term strategy realization. Is your department spending too much time on non-value added processes? 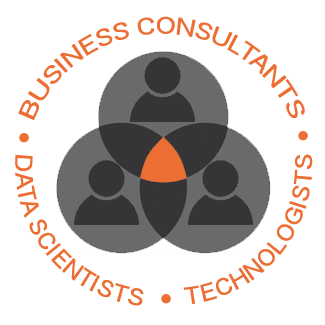 your processes with analytical expertise that aligns your strategic vision with daily operations. We’ll bring a fresh perspective on how to solve your challenges with complex, yet easy to implement tools, software, and process solutions. Do you have legacy systems in place, but need a more aggregated perspective? We have paved our path of success based on working in dynamic environments with a high degree of variability which require a pliable nature to accommodate changing priorities and fiscal influences. We’ve kicked off the new year with a new name! We look forward to empowering your business in 2019 and beyond with disruptive and innovative NexGen technologies.